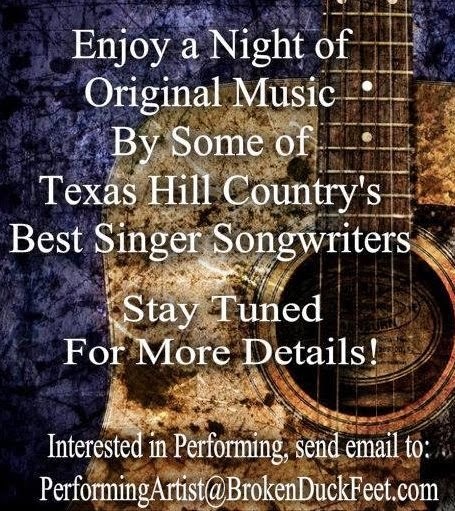 Broken Duckfeet is hosting a Songwriter Evening each Monday night at Black and Tan Pub in New Braunfels. An intimate gathering of some of this area's Top Artist singing original works guaranteed to leave you mesmerized. For more info and to find out how you can participate please call 210-399 -5399 or inbox the America's Singer Songwriters Facebook Page. This is not an Open Mic event. You must be scheduled to perform.